Joanne's unique approach to building an empire while raising kids has touched the hearts of thousands of women across her social media platforms and was recently featured in HHH Magazine as a role model to women all around the world. Joanne's always been regarded as one of the best executive managers during her business consulting career and has never wavered in her efforts to show up and give her best in everything she does. From a young professional straight out of College with a shiny new Business Degree, Joanne went straight into Radio, Telecommunications and Cable. Always spreading her wings, she added to her list of life's best achievements when she became a Mom for the first time. From that moment onward, Joanne knew she had tapped into her positive pot of gold along with her 3 precious jewels always at her side. When Joanne isn't busy being a Power Mom and CEO at home, she can also be found vlogging about the power of positivity, spending time with family and living life to the fullest. Tune into her Facebook Authors Page VIVOLOg for daily positive posts. 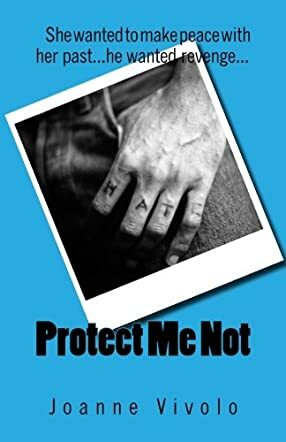 Protect Me Not by Joanne Vivolo is a powerful novel that explores the themes of love, abuse, and family, and one woman’s quest for inner freedom. Mary owns a well-established and lucrative brokerage firm with a vast clientele. Her success has her face plastered on billboards and she travels across the country on a regular basis. But this seemingly successful woman suffers psychologically and, although married to a loving and caring man, Victor, she can’t escape the abuse she’d suffered in the past. Each time she recalls what she’s been through, her emotional health is threatened. She has continually delayed getting professional help, but when she does, things get worse and she finds herself in a dire situation. It is then that Victor does what he does best — try to protect her. The results will surprise readers. In a masterful balancing of interesting elements of a psychological thriller, women's fiction, and superb entertainment, Joanne Vivolo delivers an intelligently plotted story with great psychological depth. The opening was great and I knew I’d love to follow the protagonist, Mary. I enjoyed the way her character is developed; it allows readers to have a clear idea of what her personality is like and why she is the way she is. The author handles themes that are strong and that are part of the day-to-day human experience. The writing is gorgeous, capturing popular culture an arresting manner. Protect Me Not is the work of a master, plotted with expertise and accomplished to give readers the best entertainment. You’ll love the economy of language and the precision when it comes to the entertainment this novel provides.